We don’t just build cases, we build confidence. Target Case™ shock-mounted STD 19 in. 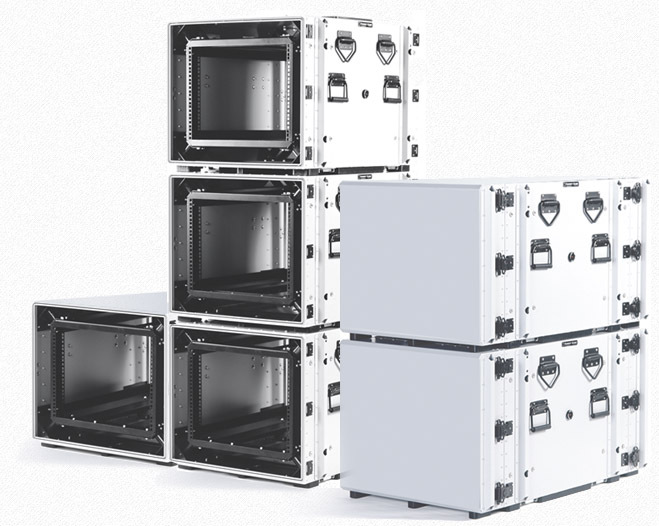 rackmount cases are watertight all-aluminum double lid cases with shock mounted rack frames conforming to the Electronics Industries Alliance (E.I.A.) 310 standard. 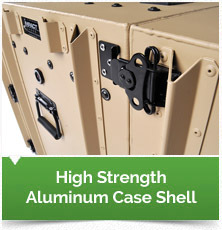 Target Case™ rackmount cases are the strongest in the industry. 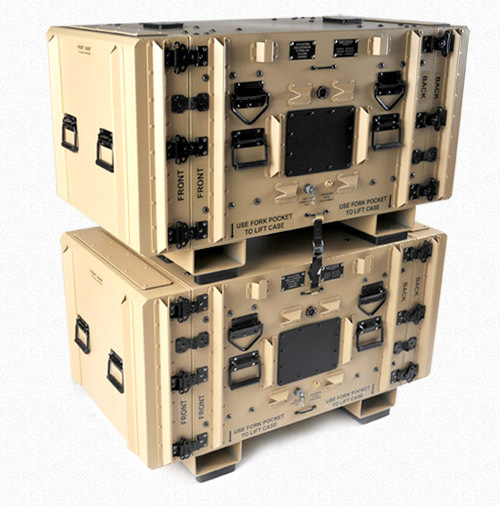 Target standard cases offer protection for payloads up to 500 lbs - without requiring any reinforcement of the rack frame or case shell. With both lids removed, Target rackmount cases will NOT bow, warp or sag with heavy payloads or heavy superimposed (stacked) loads. Target cases maintain their shape under stress and lids always fit effortlessly. 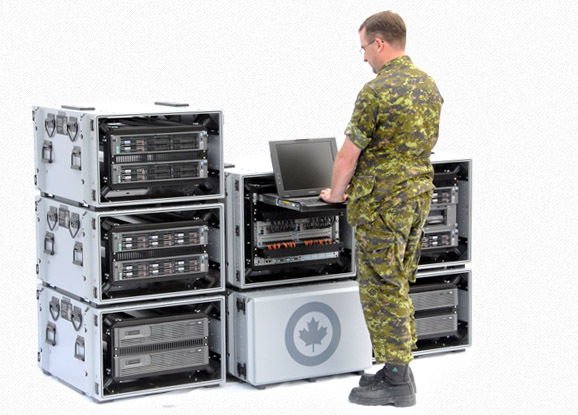 There is simply no better performing rackmount case on the market than Target. 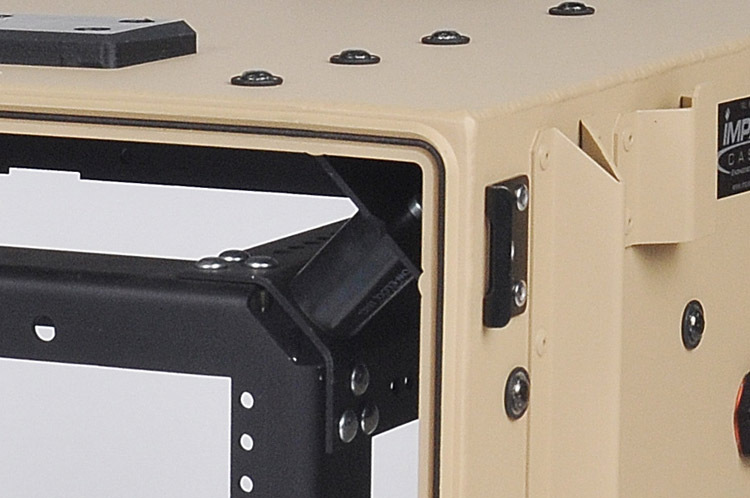 External Ribs increase case rigidity and protect case hardware from glancing forces. 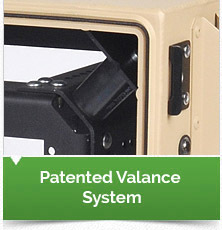 Our proprietary high strength square tubular valance and corner lug system are fused together and seam welded to the case. With dual continuous gaskets, Target cases remain watertight and resistant to deflection under stress. 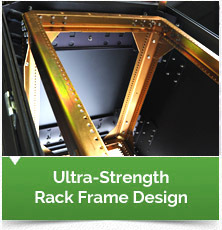 Target rack frames are the strongest in the industry designed for high stress conditions. 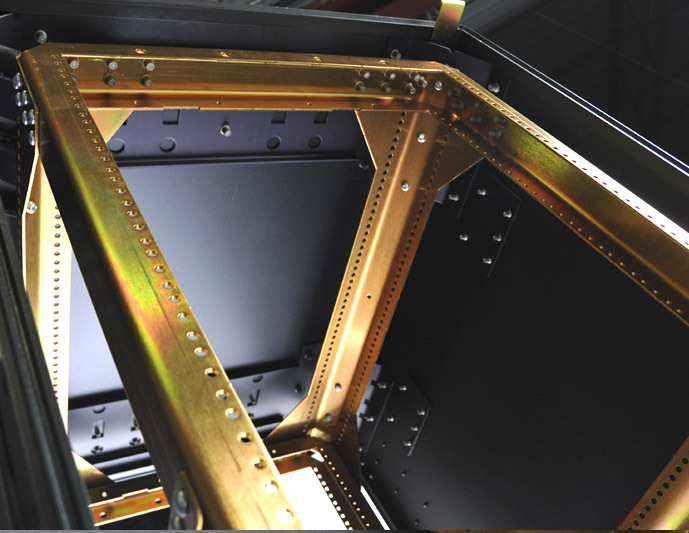 Formed & welded single piece U channel design offers unmatched frame rigidity. 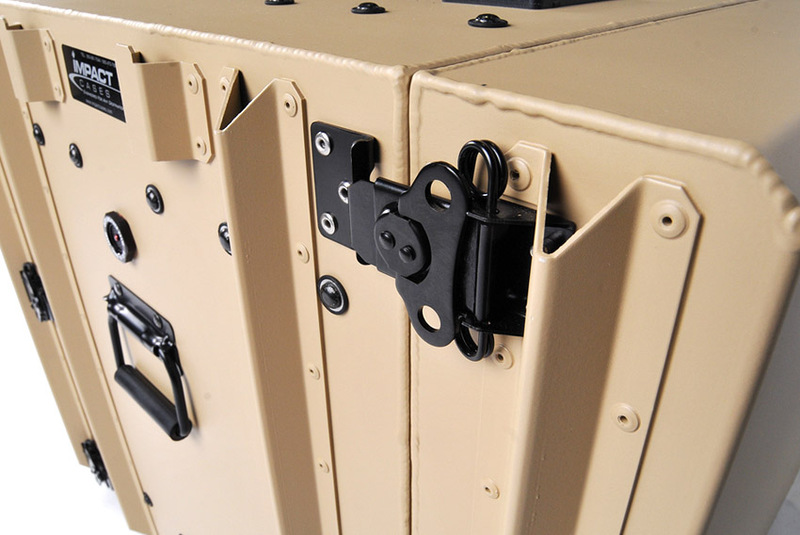 High security lock bolt ensures the rack assembly will not loosen over time. 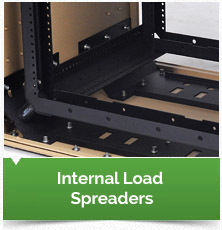 Internal load spreaders are installed on the top and bottom to Increase case rigidity and prevent distortion. No additional case shell reinforcement required for payloads up to 500 lbs. 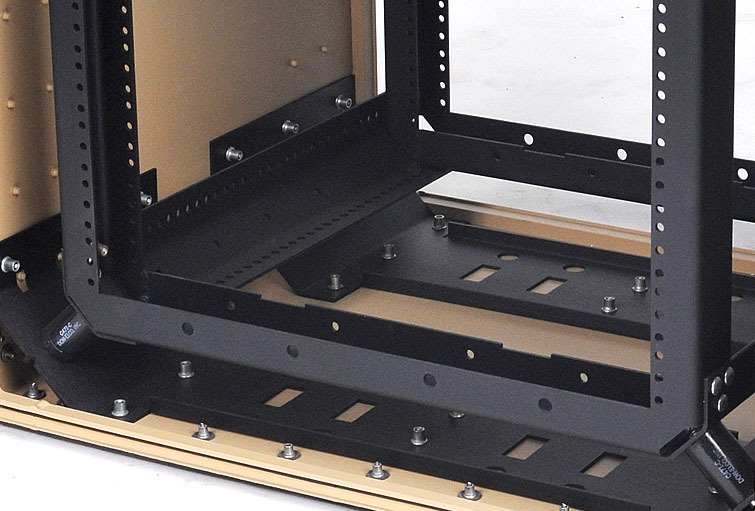 Download a PDF of our complete list of rackmount case features.